It is every Muslim's duty to invite people to Islam and to help improve society, especially in this age of wickedness and immorality. It is especially important in this age to publish Islamic literature, and it is especially important to publish such literature in English, especially for the Muslim youth. For these reasons Raza Academy has undertaken the publication of a series of books in English, concentrating especially on the literature of Sunni Islam, and the works of Imam Ahmed Raza Khan Barelvi. I would like to thank all those involved, writers, editors, printers and administrations and call for Allah Ta'ala's blessings on them and for prayers for them from all who read these books. Hazrat Imam Raza Khan Barelvi is a figure of World Importance, both to Muslims and to non-Muslims, but he is little known in England. He has enormous numbers of admirers and follower among Muslims all over the World, and rightly so, for his writings and life works are superb quality and great intellectual and academic depth. The aim of this little pamphlet is to make available in English some idea of the immense riches to be found in the life and work of Imam Raza. All the most important problems of Humanity today find their solution in his life and work. And all the most serious questions facing the Muslims can only be solved by going back t the thought of Imam Raza. I hope, in time, and with Allah's permission, to produce a larger work on Imam Raza. This little pamphlet, however, is enough to show that Imam Raza is a man for all of Humanity today. Dr. Muhammad Haroon Manchester, April 1994. Hazrat Imam Ahmed Raza Khan Barelvi (Rahmatullahi Alaih) was a Sunni Alim (Scholar) in British India, who was born in 1856 and died in 1921. He was the leader of the Sunnis in his time, and was so great that he was called the Reviver of the Islamic Century. The Reviver of the Islamic Century is the most important person in the whole World in that period. Previous Revivers of the Islamic Century have been men like Hazrat Imam Ghazzali (Radi Allahu Anh), who achieved many things of the greatest importance in their day. Hazrat Imam Ghazzali (Radi Allahu Anh), for example, is person that Europe learned Philosophy from! It is the aim of this article to show the importance to the Whole World of the work and ideas of Imam Ahmed Raza Khan Barelvi (Rahmatullahi Alaih). A person is important to the whole World if they have found the solution to all the most important problems of the World of their time. A person like Karl Marx or Lenin was thought of as of World importance because their work and ideas seemed to show the path for Humanity to follow. In this article we will show that Imam Ahmed Raza Khan Barelvi (Rahmatullahi Alaih) showed in his work and ideas the solution to the most important problems of the Century. We today have lived in the same Century as Imam Raza, and our World has very similar problems to those faced by the World of Imam Raza is of importance to us today, and not just to those who were alive when he passed away in 1921. It is best to begin by trying to sum up the central problems of the Modern Age. This Modern Age has been the age of the Triumph and then failure of Modern Civilisation. A hundred years ago there was a tremendous confidence in Science. Since that time we have seen the limited nature of Science, and its failure to bring a better World, but instead Science has collapsed. This age has also the Crisis of Capitalism. This age has also seen the failure of the Western alternatives to Capitalism. Communism has failed. White racism has been seen in all its horrors in Nazism. And the whole totalitarian ideal has been shown to lead to horrors beyond belief. The Modern age has also been the time when Modern Culture failed. It has been an age of the destruction of traditional culture, both in Europe, and in the rest of the World. It has been the age of the Death of Religion, with the rise of mass atheism and, more important, a decay of existing religious into cheap Modern copies of the real thing. This has also been the age of the Death of Man. This is the age of herd mentality, of mass movements, of the despising of the individual, and the shameful manipulation of human beings by the totalitarianism we have already mentioned. Rationalism triumphed, but then failed as Humanity discovered what it was like to be ruled by rulers who had Science to help them. Hazrat Imam Ahmed Raza Khan Barelvi (Rahmatullahi Alaih) was, of course, a Muslim. And the Modern Age particularly affected the Muslim World with all the developments we have just listed. This Modern Age is the Midnight of Islam, and of the Muslims, and of the Human Soul. This is the age when the traditional Muslim society was overwhelmed by the West, with the loss of Muslim political power, but also with spiritual surrender among the Muslims, who accepted, copied, admired and worshipped the West. The whole idea of the role of Almighty God in the World disappeared, and was replaced by arrogant secularism and atheism. And this led to Wahhabism and then to Islamic Modernism, and later Fundamentalism, where Islam as a religion died, and was replaced by a cheap copy of the West, in the case of the Modernists, and a Social and Political Movement modelled on Communism and Fascism in the case of the Fundamentalists. Traditional society was destroyed, and replaced by a colonialist, racist, capitalist society imported from the West. And then the West itself fails, and today we stand among the ruins of all that the West tried to build, from Communism to Fascism to Nationalism to Capitalism! Anyone who claims to be of World Importance must, then, be someone who showed Humanity a path through these terrible triumphs and failure that have been the Modern Age. Hazrat Imam Ahmed Raza Khan Barelvi (Rahmatullahi Alaih) was such a person, and for that reason is of World Importance. It is easy to sum up the actual life's work of Imam Raza. He worked to defend Sunni Islam and its Society from the attack on it by The Modern World, and especially by attacks on it from the inside, by Muslims who were aiming to get rid of Sunni Islam, and replace it with some modern thing. The World Importance of Imam Raza all comes from this attempt of his defend Sunni Islam and its Society. This World Importance began with Imam Raza's being an Alim, and working as a Sunni Alim. Imam Raza worked all his life as a simple Scholar. He worked by answering questions put to him by anyone who chose to get in touch. His role was as a wise person, with a deep knowledge of Islam. His education was that of a traditional Muslim Scholar, and was also extremely broad. He was an expert in many fields, including all the Islamic Religious Sciences, but also Mathematics and Astronomy. The work as a widely educated Scholar, only affecting the World by answering the questions of the curious, is of enormous importance. This is the age of the mass organisation, when the individual is swallowed up in a vast bureaucracy. Imam Raza refused to work like that. In his time modern mass movements were beginning to emerge. Imam Raza would not touch them. He did not wish to be a bureaucrat, or a politician, or an administrator. People like Maududi and Hasan al Banna were to bring this spirit of totalitarian organisation into Islam. Imam Raza resisted it from the start, refusing to take part in such mass movements as the Khilafat movement, and refusing to oppose such movements by himself setting up mass movements. Man is dead in the Modern World because the good individual isn't wanted, but only the mass member, who will shout the slogans and do as they're told. Imam Ahmed Raza Khan Barelvi (Rahmatullahi Alaih) showed that Man need not die in the Modern Age. He worked in a simple way, just making his contribution by giving scholarly advice. To still trust in the good individual, and to turn your back on mass movements is truly of World importance in the Age of mass advertising and Stalin and Hitler. This is also the age of the death of Wisdom and the rise of the Specialist. Today from an early age the student knows more and more about less and less. The University a place where the Professor cannot even known enough about his own narrow little special subject. There is no Professor of Wisdom at Cambridge University. And the educated are cut off from the past. There is no traditional education or knowledge left, but the Scholar just studied are narrow subject, without any contact with the Wisdom and Traditional learning of previous ages. An astronomer would only know astronomy, and would have no idea at all about the wisdom that an astronomer might have had two hundred years ago. Hazrat Imam Ahmed Raza Khan Barelvi (Rahmatullahi Alaih) Stood for a traditional of learning that in the West in now dead. To him the aim was as broad a learning as was possible, and learning that centred on the Wisdom that would come from the Islamic Science and a learning that was firmly linked to a tradition going back over a thousand years. Imam Raza would mention in his books writers of one thousand years previously, as a matter of course. Today only some dry-as-dust professor of Medievalism would be able to make such quotes. At the same time he was able to comment, from a scholarly point of view, on questions of astronomy or politics or even banking and currency. And at the same time he was able to discuss the most difficult questions of Spiritual Enlightenment. One problem a student of Imam Raza faces is precisely that he was a polymath, wise in many fields. The professor of Islamic law might be able to understand one of his works, but that same professor would be helpless before his comments on astronomy, or maths, or politics. No living scholar can write properly on Imam Raza. He is too big, too broad, too wives, too difficult. The cure to the World's problems today is precisely to produce a Scholar with the breadth and Wisdom of Imam Raza. We today are too narrow, too specialised, and too clever without being wise. And the memory alone of a man like Imam Raza is of World Importance. And it was the very aim of Imam Raza to keep scholars of his kind in existence. Sunni Islam is based on the existence of such Ulama (Scholars). The Maududis and the Hasan al Bannas aim to get rid of such people and put in their place the narrow modern professor, organised into committees in a Leninist Party! The basis of Sunni society in the guidance of the broadly educated, Wise Alim working privately and without any organisation or bureaucracy. All the modern problems of totalitarian organisation and narrow specialism disappear when the Scholar works like that. And Imam Raza was more than a Scholar. He was an artist. He was a poet, of the first class, in several languages, writing especially poetry n praise of the Prophet Muhammad (Sall Allahu Alaihi wa Sallam). This tradition of poetry, yet again, goes back hundreds and hundreds of years. Imam Ahmed Raza Khan Barelvi (Rahmatullahi Alaih) is thus carrying on a tradition that the Scholar should also be an artist. The Sunni Islamic ideal is the total human being. Such a one was Imam Raza! And this total human being as an ideal is the cure to the Death of Man today. Instead of society being let by boring businessman and politicians, the ideal is that we should turn for guidance to the Complete Human Being, who has wide wisdom, and social, scientific and artistic knowledge. And of course, Imam Raza was defending the age-old culture of his day. Today culture is rootless. Writing and art are cut off from the traditions of the past. European painting and poetry no longer copy or build on the painting and poetry of even fifty years ago. Yet Imam Raza carried on artistic traditions of immense age. And his whole education was like that. It was a total culture, drawn from the whole history of Humanity. For this reason Imam Raza is of World importance. And Imam Raza also took an interest in medicine. The great fault with Modern Medicine is that it is cut off from traditional medicine, and also is in the hands of narrow scientists, and not in the hands of Wise Men. And Imam Ahmed Raza Khan Barelvi (Rahmatullahi Alaih) was not merely such a wise and talented scholar, artist and doctor. He defended all this traditional wisdom from attack. And the attack came in the name of Science. Perhaps the greatest importance to the World of Imam Ahmed Raza Khan Barelvi (Rahmatullahi Alaih) was his opposition to Science. Throughout most of Imam Raza's life, Science was worshipped. This was the age of total confidence in Newton and Darwin. It was only towards the end of Imam Raza's life that the Einsteinian revolution began to bring doubt into the worship of Science. And this Science was thought to be the total enemy of religion. And this Science was especially worshipped in the Muslim World. Science was the reason given fro Western dominance. All the peoples in the colonies were only fit to be dominated by the white man, with his Science. And many Muslim also worshipped also Science. And these Muslims, such as Sir Sayyid Ahmed Khan, tried to change all of Islam to fit in with Western ideas about Science. But did people did more even than that. They made Science the reason for imposing tyranny on the Muslims. The Muslims were not "Scientific", So the Muslim had to be forced to be "Scientific". And that meant that there could be no freedom for the Muslims, but Western experts, and Muslim "experts" everywhere must rule absolutely, without the agreement of the Muslims, in the name of Science. And of course today we know that this "Science" is mostly crackpot nonsense. Science In Imam Raza's day was fiercely racist, and by the time of his death in 1921 was providing the justification for both Communist and Fascist tyrannies in the West. And the disastrous consequences of the worship of science are well-known today. The Muslim would especially has suffered terribly at the hands of Science, with such disasters as the total destruction of the environment in Soviet Central Asia by a Communist regime that could never find a fault in Science, and a turning back to the traditional wisdom that existed before the religion of Science came to rule the World. But Imam Raza fought Science a hundred year ago! If you read Imam Raza's writings on Science, what stands out is his complete contempt for the Scientists. To Imam Raza the Quran and Islam are the truth, and nothing can be allowed to contradict them. If Scientists did so, he just dismissed their arguments with contemptuous laughter! Imam Raza treated them as a bunch of stupid children. Yet Imam Raza himself was no mean Scientist. He was a very gifted mathematician, and knew the heavens so well he could set a clock just by looking at the night sky! And he was familiar with Western Scientific ideas. He wrote a reply to a Western Astronomer who had forecast a catastrophe due to an alignment of planets, and in that reply he relied entirely on Western theories of the heavens and gravity, and correctly forecasted that there would be no catastrophe. Hazrat Imam Ahmed Raza Khan Barelvi (Rahmatullahi Alaih) Position was that Science was true, but limited, and could never be accepted as better than, or superior to Islam, and as providing a reason for getting rid of any Islamic idea, or any part of the Sharia, the law of Islam. So he could himself be quite expert in Science, but treat it with complete contempt the moment anyone tried to change Islam to fit it in with Science. This is a World Importance. To Imam Raza no traditional wisdom should have been overthrown, but Science should always be kept as the servant of Wisdom, and not as a rival to Wisdom and a replacement of it. After one hundred years this is the position to which the West itself is returning, as Green politics and the Green Movement shows. But in the Muslim World there is still this silly worship of Dopey Science, which everywhere is supporting tyranny. The West has seen how Science was behind the tyranny of Stalin and the Racism of Hitler, and so the West has begun to put Science in its place. Imam Raza was putting Science in its place before all the damage was done! And he was putting Science in the inferior position to which it belongs at a time when traditional Wisdom still existed. He himself was soaked in this traditional Wisdom. He was right, and the West was wrong, 100 years before the West realised it was wrong! In his lifetime Imam Raza tried to reply to the silliness of the Scientists, but of course he was only one man against a whole World of dopey Europeans. He did, however, set Muslims the task of putting Science in its place. He saw that the great challenge was this worship of Science and the way it was threatening the Wisdom of Islam itself. Today we are in a much better position to challenge this than we were in Imam Raza's day, for today many in the West have themselves realised the limits of Science. Hazrat Imam Ahmed Raza Khan Barelvi (Rahmatullahi Alaih) is a figure of World importance for his defence for Islam against Science, and his attempt to show its limits. Only by following the line of Imam Raza can the Muslim World escape from its disastrous past and present. Hazrat Imam Ahmed Raza Khan Barelvi (Rahmatullahi Alaih) is of World importance also in one very simple way. He was a cosmopolitan. The modern age is the age of fierce nationalism and racism. But Imam Raza was simply a Muslim. And his homeland was not just one country or even continent. His homeland was the Muslim World Community. His fame extended to the whole Muslim World, and he was given honours in Makkah itself. He drew on the international culture of Islam. He spoke to all peoples. He wrote answer to question in many languages, including English, always replying to the question in the language it came in! Today this seems so strange, when men and women no matter how great, look only to one country or group, or race. Even a World-famous singer will not be cosmopolitan, but most likely American. Imam Ahmed Raza Khan Barelvi (Rahmatullahi Alaih) was a cosmopolitan, and of course he was this because he was a Sunni Muslim, and the aim of his life was the defence of Sunni Islam. Sunni Islam is the most cosmopolitan of all religions. Christianity is centred on the white race. Catholicism is centred in Italy. Sunni Islam has had many centres, with whole traditions centred in Turkey, or Central Asia, or India, or Egypt and so on. Imam Raza's message is a cosmopolitan message: join the Muslim World Community, which is in all countries and all races and nations! And what an important message that is to the World! Today we live at a time when Wahhabism has ended up in the disaster of the Saudi regime, which is the West's best friend, the disaster of Islamic Modernism in the failure all over the Muslim World of all the efforts they have made, and today with the disaster of Fundamentalism, which as well perhaps also lies in the future. Hazrat Imam Ahmed Raza Khan Barelvi (Rahmatullahi Alaih) totally opposed all these wrong paths from the very start. He would never make any concessions to the West, and Science, and spent all his life fighting Wahhabism. He criticised Sir Sayed Ahmed Khan as not a Muslim at all. He attacked anyone who ran down the Prophet (Sall Allahu Alaihi wa Sallam). He refused absolutely to allow the Prophet (Sall Allahu Alaihi wa Sallam) to be criticised in any way, and refused to allow my doubt to be cast on the total superiority and perfection of the Prophet (Sall Allahu Alaihi wa Sallam). Imam Ahmed Raza Khan Barelvi (Rahmatullahi Alaih) produced a beautiful translation of the Quran into Urdu to fight against Wahhabi translations of the Quran which were trying to run down the Prophet (Sall Allahu Alaihi wa Sallam). Hazrat Imam Raza also resisted all the political schemes of these traitors to Islam, who tried to use Islam to promote their own power. He attacks the Deobandis and other Wahhabis who united with the Hindus in the hope that they would rise to the top of India secular society. Imam Ahmed Raza Khan Barelvi (Rahmatullahi Alaih) saw that these efforts could only end in Communalism and mass murder as the Hindus would never agree to share real power with these Wahhabi Muslims. And Imam Raza criticised the mass politics used by these Wahhabis to turn the Muslims simply into a herd of voters to support their schemes to get themselves top in the jobs! And Imam Raza totally opposed any opening of the gate of Ijtihad. He would not allow anyone to change Islam to put themselves in power. And Imam Raza above all tried to defend the actual Muslim Community. Muslim traditional society was complicated thing, but its basis was Sharia which could not be changed, and a system of Scholars (Ulama) who guided the Muslims and guarded the Sharia, and the whole structure of Sufi Orders, with their Pirs, and Tariqas, and Khankas, and tomb s, and traditional ceremonies, such as Milads. This society id the perfect society of Almighty God in the world. And Imam Raza sought to defend it. He defended it, of course, from wahhabis and others who would like to change all that Sharia by Ijtihad, get rid of Ulama, and put journalists and politicians like Maududi in charge. And totally break up and destroy the whole structure of Sufism. In its place these people have, since Imam Raza's day, put a horrible society modelled on Capitalism or Socialism, run by themselves, for the benefit of themselves and their family and friends, who everywhere where need secret police to prevent this "Scientific" society from being got rid of. He defended Muslim Society from people who wished to put it at risk, by dragging the Muslims into all manner of adventures. The Wahhabis were not interested in the Muslims and their life, but only in getting themselves to the top of society. And so they thought nothing of bringing the whole community into danger. In the First World War they tried to get the Muslims of India to launch a Jihad against the British, and then tried to get the Muslims to migrate from India! Today the Fundamentalists are always trying to throw the Muslims into one desperate crisis after another. Hazrat Imam Raza fought this by exposing its falsity in Islamic law. In the World War he supported the Turks. He criticised the Turks for their claim to have the Caliph, and demanding that all Muslims should follow them, and engage in Jihad, and the Indian Wahhabis for supporting this. He did this by explaining the position of Sunni Islam on the Caliph and on Jihad. In the World today there are several busloads of men who claim to be Caliph! If such a claim was accepted, each would be the rightful ruler of all the Muslims in the World today. And such claims are put forward by ambitious men, who wish to set up their own tyranny. Imam Ahmed Raza Khan Barelvi (Rahmatullahi Alaih) explained the position of Sunni Islam on this question. There is no Caliph in the World today, and there can be none. The next Caliph will be the Imam Mahdi, and his coming will be part of the end of the World. In this way, Imam Raza sweeps away all these false claimants, and defends the Muslims from their tyranny. In the World today there are many Wahhabi and Fundamentalist groups who wish to launch Jihad. What they want is a war to put themselves in power. And they don't care if such a war brings terrible danger to the Muslims. Imam Ahmed Raza Khan Barelvi (Rahmatullahi Alahi) replied to this demand foe Jihad with the traditional position of Sunni Islam, which is that of Hazrat Imam Abu Hanifa (Radi Allahu Anh). The Muslims have no need to fight unless they are attacked, and unless they are denied the right to practise Islam. And of course the Muslims must not fight unless victory in certain, for it is a sin to be defeated in Jihad, and Muslim blood must not wasted. Now that means that in places like India at the time Imam Raza wrote, there was no need for Jihad, because the rulers allowed the Muslims to practise Islam, so that India was Dar-ul-Islam, The Land of Islam, and not Dar-ul-Harb, the Land of War. And of course most of the World today is Dar-ul-Islam. Apart from a few places, like Serbia, or Kashmir, where Muslims are being murdered, and it is impossible to be a Muslim, the whole World is Dar-ul-Islam. For this reason there is no need to engage in Jihad, and the attempts by Wahhabis and Fundamentalists are totally wrong, wicked, non-Islamic attempts to endanger the Muslims just to put themselves in power! Imam Raza thus defended the Muslim Community from the danger of a power grab by a self-appointed Caliph, and the danger of a war launched to put the Wahhabis in power. Hazrat Imam Raza also showed how the Muslim Community could really survive safe in this World. He outlined this is his famous four-point programme of 1913. The Muslims, he said, should form an island in Society, and within that island totally preserve the traditional society that was Sunni Islam. They should this by settling their own disputes among themselves, so that the Community had its own leaders, and they should also buy and sell from each other so that the Muslim Community would draw closer together and provide a place for Muslims to live. And the wealthy Muslims should provide the savings to finance investment, so that this Muslim island in society could grow and develop. And the Muslims should study Islam, and revive it, so that the Muslim Community would grow ever more Islamic as time went by. This was the path by which the Muslims would survive, and preserve all their traditional society, without any need fro Jihad, or any need to rise in non-Muslim society. In this way the terrible racism and Communalism were trying to take over non-Muslim society! And on this island in society Sufism and the Sharia could survive, and watch the Modern World go its merry way to Hell! And there would be no need to interfere Islam to fit in Science and Westernization, and so on need for the nonsense of Wahhabism and Modernism, and the modern political method of the Modernists and Fundamentalists. And Imam Ahmed Raza Khan Barelvi (Rahmatullahi Alaih) and others put these plans into action, so that today Sunni Islam and its traditional society have survived, despite all the horrors of the Twentieth Century. And now today the true greatness of this plan is visible, for all this Modernists and Fundamentalists have failed! They have built nothing good or lasting in the Muslim World. And the non-Muslim have also failed to create a good society. Communism and Fascism have both failed, and even the gains of moderate Socialism are disappearing as the West returns to a pure, merciless, version of Capitalism. And the World realise the failure of all these Scientific projects, and the failure of Science itself. And so the World importance of Imam Ahmed Raza Khan Barelvi (Rahmatullahi Alaih) is today! He criticised these modern projects when they were new and had not failed. He knew that that they were wrong. Now they have failed, and Imam Ahmed Raza Khan Barelvi (Rahmatullahi Alaih) is proved right. Hazrat Imam Ahmed Raza Khan Barelvi (Rahmatullahi Alaih) truly is the man of the century! And Sunni Islam will be made the success of the coming century, if his ideas are followed! And all this is his reward for his total love and respect for the Prophet Muhammad (Sall Allahu Alaihi wa Sallam)! 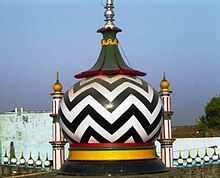 Hazrat Imam Ahmed Raza Khan Barelvi (Rahmatullahi Alaih) day is now! We live in a World of anti-Islamic and non-Islamic governments and society, and we live in a World cut off from religion and the great wisdom that existed before the horror of Modern Science. Imam Ahmed Raza Kham Barelvi (Rahmatullahi Alaih) is a model of how to live, and how to act, and how to face this terrible World. I n conclusion we have seen all the ways in which Imam Ahmed Raza Khan Barelvi (Rahmatullahi Alaih) is important to us today, And we have seen that all he did that is important comes from his defence of Sunni Islam from the attacks of the Modern World. Imam Ahmed Raza kHan Barelvi (Rahmatullahi Alaih) is of World Importance because Sunni Islam is of World Importance. And Sunni Islam has the answer to the problems of the World because it is the True Islam, and the True Religion. And Sunni Islam proves itself true by having the answer! Hazrat Imam Ahmed Raza Khan Barelvi (Rahmatullahi Alaih) is of importance to all humanity because he calls us back to the one God, Allah Ta'ala, and to the Religion which Allah Ta'ala has sent. Imam Ahmed Raza Khan Barelvi (Ramatullahi Alaih) himself put at the centre of his own life, and at the centre of his all work, the most total and complete love for and respect for our beautiful Prophet Muhammad (Sall Allahu Alaihi wa Sallam). And that is why he is of World Importance.